RED's CEO Jarred Land has announced the 8K Monstro Monochrome, a monochrome version of RED's Monstro DSMC2 8K VV with cine full frame sensor camera. Due to the missing Bayer filter in front of the sensor, which otherwise swallows a lot of light (nice to see in the graphic), the light sensitivity almost doubles and the resolution is higher than that of the color version, because each pixel corresponds exactly to a sensor - unlike the Bayer version, no pixels are interpolated. For this reason, the b/w images of such a genuine monochrome camera also have a significantly higher quality than subsequently monochromically calculated images from normal cameras. 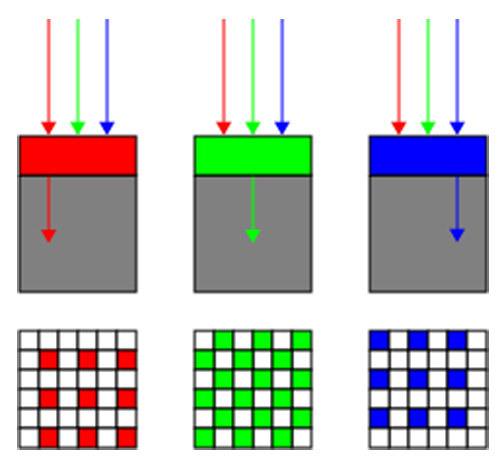 The basic data of the RED Monstro DSMC2 8K VV : a 40.96mm x 21.60mm CMOS sensor with a resolution of 8,192 × 4,320 pixels (=35.4 megapixels) and a dynamic range of up to 17+ f-stops and recording with 8K Full Format with up to 60 fps and a data rate of 300 MB/s. 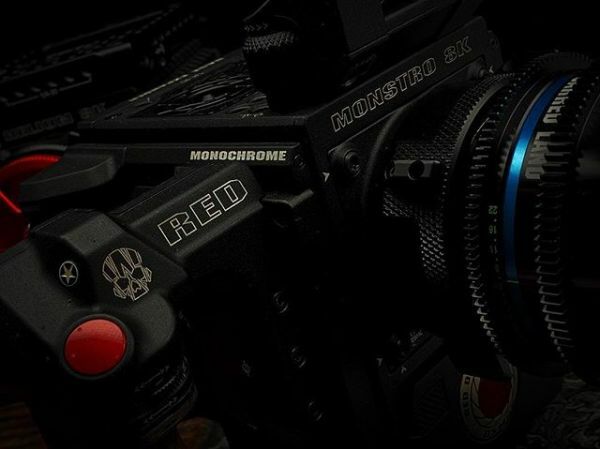 On RED's website there is no information about the RED 8K "Monstrochrome" yet, the price will probably be in a similar segment as the RED Monstro, which costs 54.500 Dollar, because the monochrome version of the Helium 8K also costs as much as the normal model.